If trolling with planer boards is your way of catching your favorite game fish, then the Board Stor is the perfect way to keep your planer boards and your boat organized. In the past fishermen didn't have a good way to store their planer boards between trolling passes or when not un use. Boards were often left on the deck to be stepped on or damaged, stuffed into already over packed storage compartments or stored in a livewell to be tangled with marker buoys and old line. With the Board Stor Planer Board Storage System you can keep your boards organized in a convenient, easy to reach location of your choice. To install simply remove the tape and apply the adhesive backed Velcro strips to the back of the Board Stor. Then choose a location on your boat and press the Board Stor so the adhesive makes contact. No drilling and no mess. Each Board Stor will hold three of your favorite planerboards separate on each side of the boat. The Board Stor Storage System fits any keeless planer board 3.5" across and smaller. This includes planerboards from Off Shore Tackle, Wille-Big Jon, Yellow Bird. Please note that the Church Tackle Walleye Board will not fit. This will include "2" Board Stor in each package! Firefly Planer Board Lights 2/PK w/battery. Bright L.E.D. 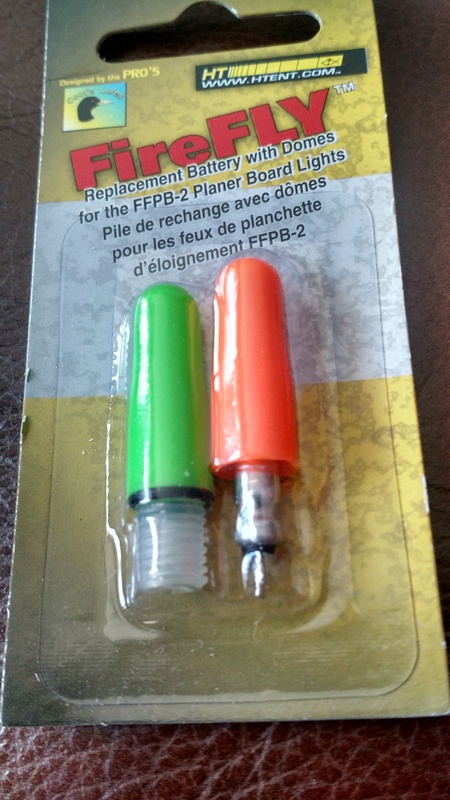 powered iniversally fit any planer board brand-also makes a tip-up light for ice fishing! Easily and securely attach to the board's flag assembly. 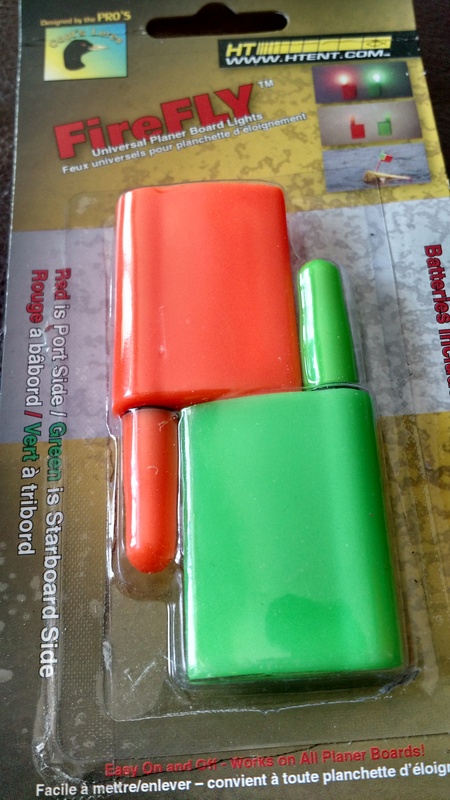 Two pieces per package-one orange-one green. Shop Extacklestore for HT Fishing Rod and Reel Combos, Fishing Tackle, Fishing Accessories.